Jussie Smollett is the Bill Clinton of Hollywood. Only Smollett has Subway sandwich mustard on his “blue dress”. Personal note: I’d like to know when Fox is going to FIRE HIM?! With overwhelming evidence that proves Smollett made up, even practiced this attack, he’s sticking to his bullsh*t story. Smollett cried on TV about being attacked by two MAGA-hat-wearing, racist, homophobic rednecks who targeted him; because he’s black and gay. A better excuse might have been his overacting during the cliffhanger in Season One? This certainly would have matched the depth of deception this guy tried with the bleach and noose scenario. Lawyers Todd S. Pugh and Victor P. Henderson issued the following statement on Jessie’s behalf on Saturday night: ‘As a victim of a hate crime who has cooperated with the police investigation, Jussie Smollett is angered and devastated by recent reports that the perpetrators are individuals he is familiar with. He has now been further victimized by claims attributed to these alleged perpetrators that Jussie played a role in his own attack. Nothing is further from the truth and anyone claiming otherwise is lying. ‘One of these purported suspects was Jussie’s personal trainer who he hired to ready him physically for a music video. It is impossible to believe that this person could have played a role in the crime against Jussie or would falsely claim Jussie’s complicity. Smollett is caught. Yet he continues the ruse. The media is practically non-existent with Hollyweirdos and politicos coming to his defense. Where are the people who called his attack a “modern-day lynching”? Tough to keep that lie going when the perpetrators were proven to be two NIGERIAN FRIENDS of the “victim”. And the Nigerians are singing to the police like canaries. The two brothers Abimbola ‘Abel’ and Olabinjo ‘Ola’ Osundairo reportedly told detectives that the 2am attack was supposed to happen earlier. Also, they said they did a practice run beforehand, according to CBS Chicago. As for the “props” used in this stage play, one of the brothers explained that they put a rope around Smollett’s neck and poured bleach over him. The other brother who wore a red hat then yelled racist and homophobic slurs at him to add drama to the “attack”. Smollett himself played director of this “staged act”. Because according to the brothers who were part of the Empire TV team, they had bought the items used in the attack at Smollett’s direction. Smollett hoped that these men would be caught. Well, he got his wish. But as the saying goes, “Be careful what you wish for”. One of my friends is an expert in body-language and sent me a message regarding Smollett’s interview on GMA. She said that his body language showed that he lied. When he was asked about the cameras, he smiled and looked left. Then Smollett said he hoped they caught the attack on camera. For her, all classic “tells” of deception. Police originally found the star’s story suspect when he brought them to the scene of the incident and pointed out a camera noting the whole attack was caught on video — and were also suspicious of the claim that his assailants shouted, “This is MAGA country,” because “Not a single Trump supporter watches ‘Empire,’” the gossip site reports. But there is another revelation. I wrote recently about the threatening letter sent to the set of Empire in Chicago. Now that Leftists are forced to admit that Jussie Smollett is a lying scumbag, there is another matter to look into. Not long before the hoax attack on Jussie Smollett there was another incident involving the TV show, Empire. As CNN reported, white powder was sent to the set of the show. 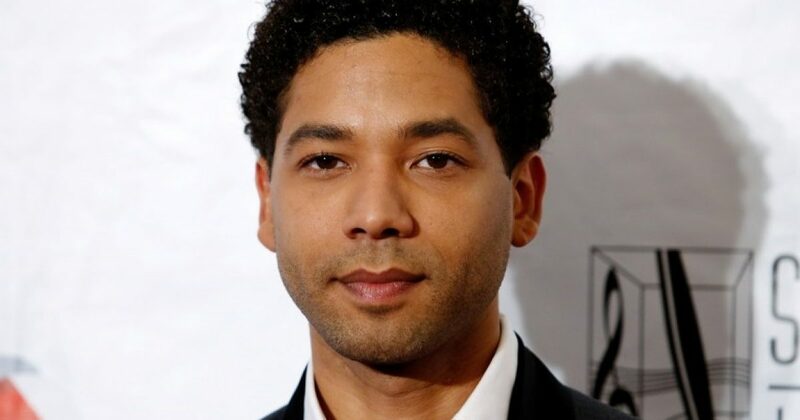 A letter containing a white powder was sent to the Chicago set of “Empire” days before one of the show’s stars, Jussie Smollett, was allegedly attacked by two men on January 29. Chicago police spokesman Anthony Guglielmi told CNN that the letter, received on January 22 at Cinespace Studios, where the show is filmed, prompted a response from the HAZMAT unit. Guglielmi said authorities determined the powder to be aspirin, but declined to give details on the content of the letter. The FBI is leading the investigation into the letter, he added. A spokesperson for 20th Century Fox Entertainment, which produces the series, declined to comment when reached by CNN. I suspect if the FBI were serious about investigating this crime, we would have additional charges filed against Jussie Smollett. Cops are also now investigating whether magazines with missing pages that they found when raiding the brothers’ homes are connected to a threatening letter sent to Smollett a weeks before the attack with cut-out letters reading, “You will die black f–,” according to TMZ. No need for cliffhanger here. I guarantee you these magazines prove that these two brothers wrote the letter sent with the aspirin powder. So now a Grand Jury will hear the case. Grand Jury will hear the case. And soon Leftist America will be forced to eat crow on one of their fake news narratives. Already Leftists try to compartmentalize this lie. They say things like “This is all on Jussie and not a condemnation of all of us.”. Bull. This story is ALL ABOUT LEFTISM.